The 2014 European Tour International Schedule will have a minimum of 48 tournaments in 26 different destinations. The 12 month golfing odyssey, which begins this week with the 103rd playing of the South African Open Championship in Johannesburg, travels across all five continents before the curtain comes down once again with the DP World Tour Championship, Dubai, at Jumeirah Golf Estates, from November 20-23, 2014. 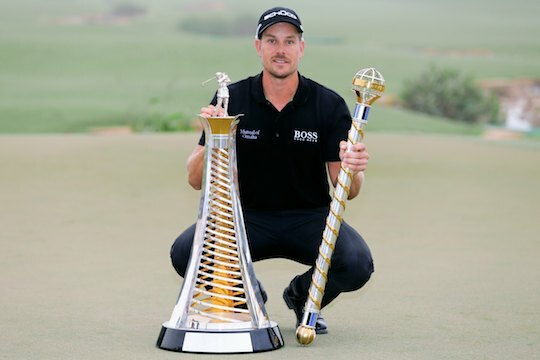 The DP World Tour Championship, Dubai, is also, once again, the culmination of the four-tournament Final Series which, as with this year, will also feature the BMW Masters and the WGC-HSBC Champions in China and the Turkish Airlines Open in Antalya. Other highlights include two new tournaments in a row in August – Made in Denmark at the Himmerland Golf and Spa Resort on August 14-17 and the D+D Real Czech Masters at the Albatross Golf Resort in Prague from August 21-14 – while also featuring on the schedule for the first time is the Nedbank Golf Challenge in South Africa from December 5-8. Outside the 48 regular tournaments, the 2014 schedule also features The 40th Ryder Cup at The Gleneagles Hotel in Scotland from September 26-28 – whose final counting event will be the Italian Open at Circolo Golf Torino from August 28-31 – and the first staging of the new match play event between Europe and Asia – the EurAsia Cup presented by DRB-HICOM at the Glenmarie Golf and Country Club in Kuala Lumpur, Malaysia, from March 28-30.